Are you a current or aspiring boutique owner but don’t know how to find clothing for your boutique? Don’t worry, you aren’t alone! As ironic as it sounds, we’ve always been told “there is no such thing as a dumb question” and “you’ll never know unless you ask.” Yet, here we are asking questions and getting no answers. It seems that even Google doesn’t have the answers! Unfortunately, the truth is that the answers aren’t out there because people are literally not willing to share them. A small handful of “influencers” and so called “successful” boutique owners provide advice. Yet, it seems that none of that advice is actually helpful or valid. 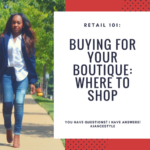 They may provide you with a short list of vendors to shop with, but there are very few people sharing tips about how to find clothing for your boutique. So, in today’s post I will be sharing a few tips on how to find clothing for your boutique. First and foremost, there are various ways that you can find wholesale merchandise for your boutique. Most people, like myself, will probably go to Google first. But, unfortunately Google will probably return many unreliable results. Finding reputable clothing vendors for your boutique is going to take some real work! You will literally have to log off of Google and get out of your house. CLICK HERE to watch my video about how I find new vendors for our shop! 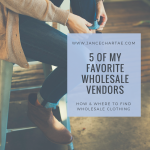 CLICK HERE to read my book where I share my three favorite ways to find clothing for your boutique. Visit local boutiques and stores in your local mall. Pay attention to the labels/tags on their clothing and record the names of the brands. Research those brands when you get back to your computer. Check out a few of the wholesale fashion marketplace websites listed below. The majority of my purchases are made through FashionGo. Attend a trade show. Find a local one (in a city near you.) You can find a trade show calendar on UBM Fashion’s website. I highly recommend that you attend MAGIC! Visit the Fashion District in Los Angeles. All of these website are great resources for any current and/or aspiring boutique owners who want to know how to find clothing for your boutique. As many of you know, I recently started a YouTube channel where I share tips and insight for current and future boutique owners. I was in a transitional state of mind in the months leading up to starting my channel. After working in retail for 11 consecutive years, opening my own boutique seemed like the next logical step in my career. For years I thought that I wanted to be a boutique owner. I received an amazing opportunity in 2016. I was offered a position as the store manager of a local thrift store and boutique. The best part; I was able to do essentially whatever I wanted. The shop was owned by a local nonprofit organization. They were looking for someone with retail management experience who essentially didn’t need supervision. It was a HUGE blessing and just want I needed! I’ve gained so much knowledge during my time in this position and I am so grateful for this opportunity. Now, I want to help others who have dreams of opening a boutique. I gained this knowledge completely on a whim and now I want to give it to others! I want us all to live out our dreams and to succeed! Now, I’m not Google! So, I don’t have all the answers, but I have a few of them! I gained experience in buying wholesale clothing for the shop. I was able to completely redesign the layout of the store. 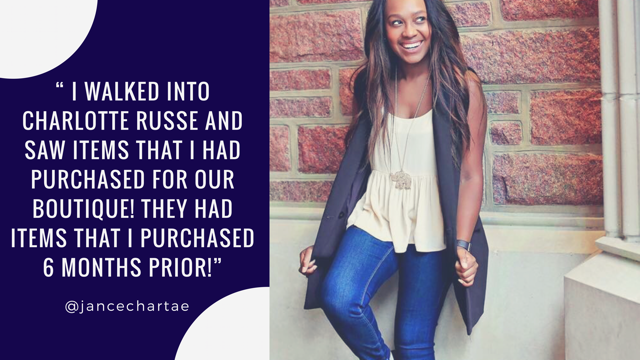 This opportunity completely gave me all of the motivation and experience I needed in order to become a boutique owner some day. YouTube and Google seemed like my best resources. But, the answers weren’t there. I had no knowledge of buying wholesale merchandise, pricing it or managing inventory, coming from a corporate retail background. I literally had to figure it out and that’s exactly what I did. Take a look at a couple of our reports below. Did I Help You Guys Out? Alright guys! 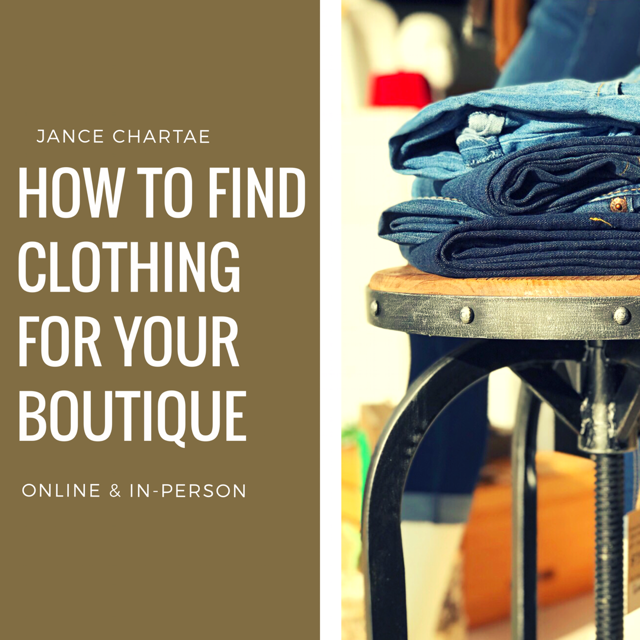 So these are my quick tips about who to find clothing for your boutique! I hope it helps you guys out. Don’t forget, my book is currently exclusively available on Amazon and it’s a great resource for anyone who is looking for extra tips and/or motivation for buying clothing for your boutique. Also, subscribe to my YouTube channel for weekly tips, insider advice and vendors! Until next time…! Previous Previous post: Clothing for a Boutique: Where to Buy? Next Next post: Buying Wholesale Clothing – How & Where?